Social media is no longer just a place for small talk — it’s an opportunity to make big bucks and significantly boost ROI. According to Sales For Life, companies with consistent social selling processes are 40% more likely to hit revenue goals than non-social sellers. The same study revealed that B2B sellers who embrace social selling are 72% more likely to exceed quotas than those who don’t. While the chance to succeed is there, most brands still struggle with making money on social media. This post will explore four ways of boosting social sales. Sadly, many companies use the spray-and-pray approach on social media. They just plow ahead without a strategy and hope for the best. Whatever sales they make are random chance sales that don’t bring in consistent revenue. Build a proper social media conversion funnel that’s fully integrated into your overall marketing strategy. Channels- discover your target audiences’ favorite channels and follow them there. Messaging- make sure your message is consistent across channels and platforms. Tactics- find the right balance between paid and free tactics. Testing- test everything, analyze, tweak and redeploy until you’re happy with the results. Building a social media sales funnel is the single biggest action you can take to generate more income on social media. Neil Patel made $332,640 in 3 months from Instagram by building a funnel based on influencer marketing. Giving the stage to your customers so they share their experiences with your brand can boost sales. Encourage customers to share rave reviews about your product. Get them to post pics of themselves using your product or service. Circle back and use that content in your marketing. It’s technical name — User-generated Content (UGC). It works like gangbusters. According to Business Insider, shoppers that interact with UGC are 97% more likely to convert with a retailer than customers who do not. Plus, revenue per visitor for retailers increases 106% when customers interact with UGC versus those that don’t. 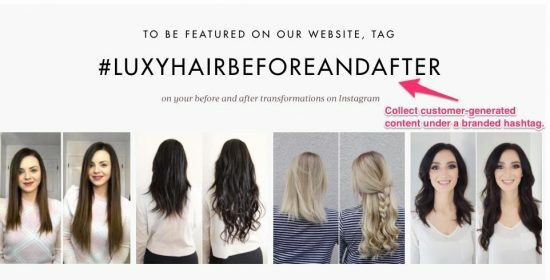 Luxy Hair used the Shopify POS to roll out an Instagram app that allows customers to share before and after pictures on Instagram using a branded hashtag. They reposted the photos on their own account. This sort of content is authentic and resonates with the audience. It makes them more likely to buy. Plus, customers love to see themselves trending and so won’t stop talking about your brand. Because acquiring a new customer is tough, marketers know that repeat business is the best business. What makes customers come back for more? Timely, sensitive, and creative support available 24/7. 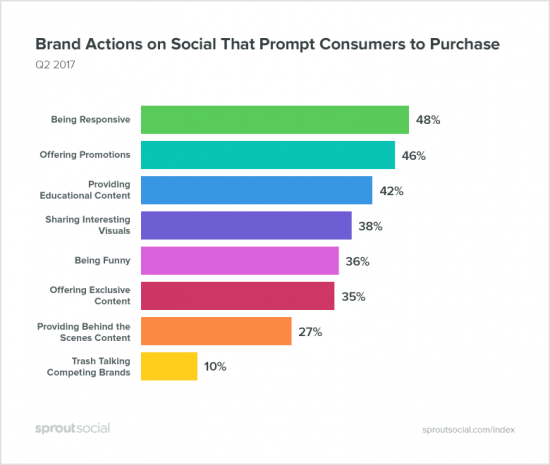 According to Sprout Social being responsive on social media is the number one reason that prompts customers to buy. 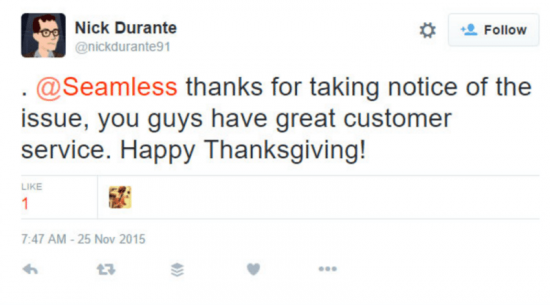 More and more brands now have dedicated customer service social accounts. Online food ordering company, Seamless for instance, has a superb customer support team. A customer once vented on Twitter how his order was mixed up. He wasn’t complaining outright. He was just expressing his disappointment. The company’s support team promptly responded and asked for the order number so they could check it out. As a result, the customer was elated. Since happy customers buy more this goes a long way in boosting sales. Streams are clogged with an unending torrent of content vying for users’ attention. Anything that remotely looks complicated or makes people work will be ignored. Create social commerce experience that is fast, easy and impulse-shopping-friendly. Make buying from you super easy for customers. Shrink the buying process to its bare essentials — then people can make quick purchases within their favorite social networks themselves without going through an elaborate process on the company website. Flyaway Bluejay used Pinterest buyable pins to make buying a one-click breeze. Here are the results. 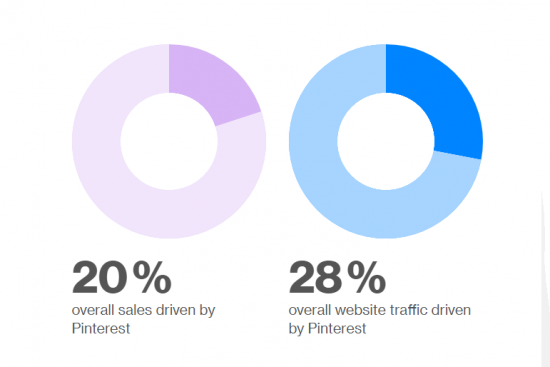 The simplicity of Buyable Pins increased sales by 20% overall in all product categories. Plus, sales for their traditionally strong sellers increased steadily as well. Money’s there to be made through social media. Use these tips to get in on the act. If you pick the right techniques that fit your brand’s context and execute them well you will be the next social selling success story. Qhubekani Nyathi aka The Click Guy is an irresistibly handsome (wife’s baseless claims!) website copywriter and long form content strategist. 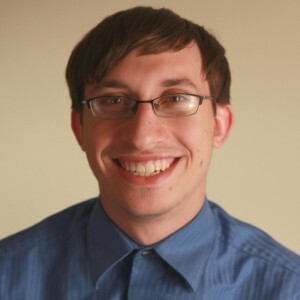 He helps SMBs rapidly grow their income and impact through actionable long-form content that ranks high, builds authority, generates tons of leads, and drives sales. 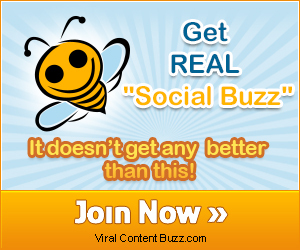 He is a contributor to top blogs like Crazy Egg, Mirasee, SEOChat and Conversion Sciences.